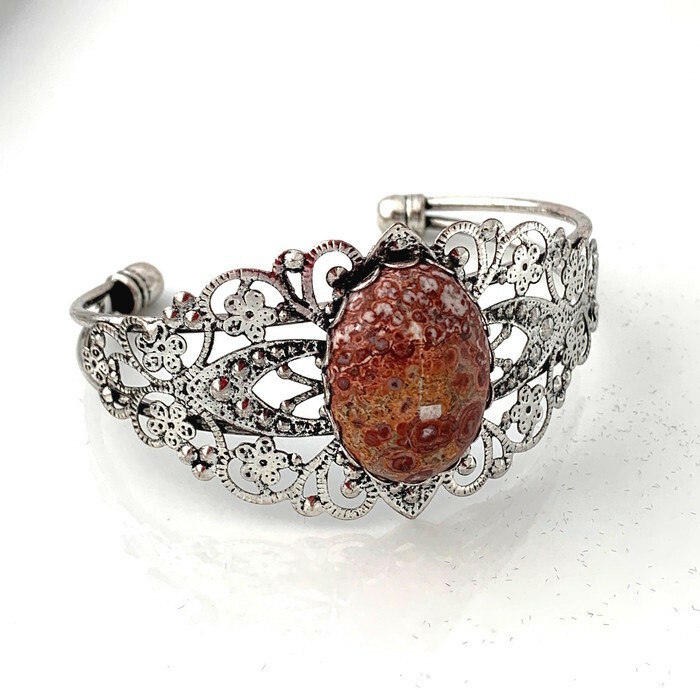 3 Choices: Brecciated JASPER, Lizard JASPER, TIGER'S EYE Cuff Bracelets. 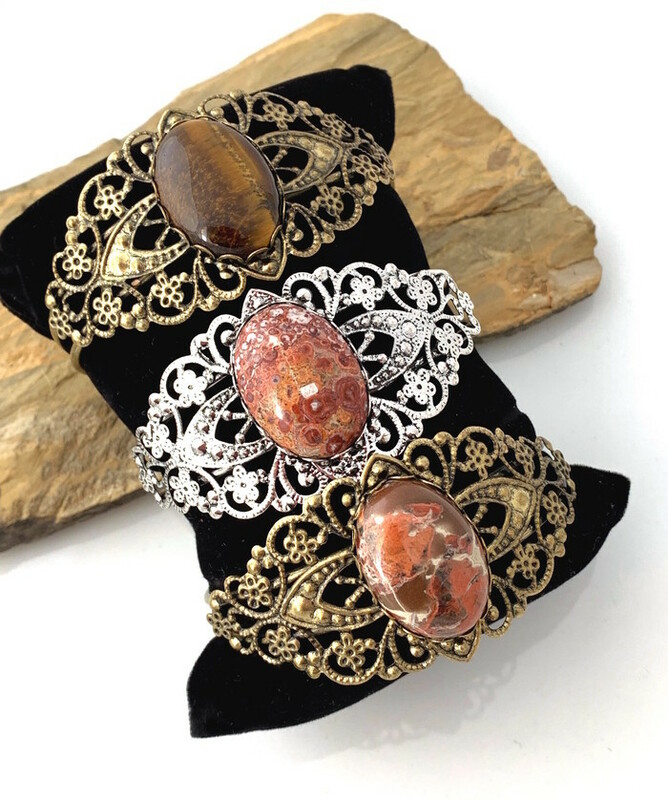 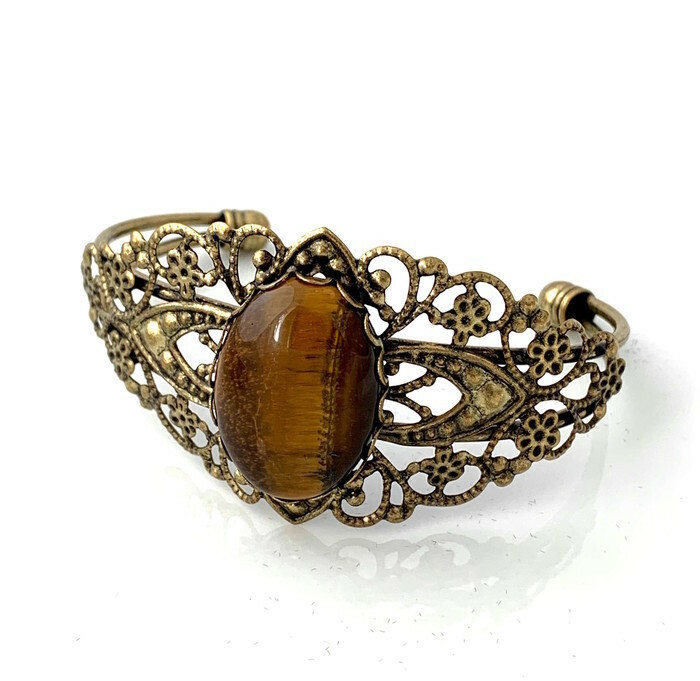 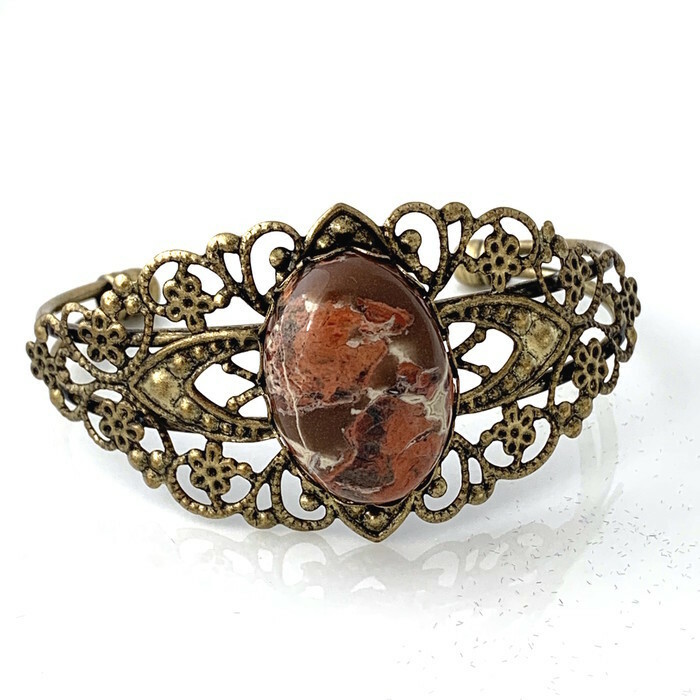 3 gemstones to choose: Genuine gemstones high polished cabochosn set in copper/alloy mix or alloy (silver tone) adjustable cool & vintage syle BOHO bracelet cuffs. 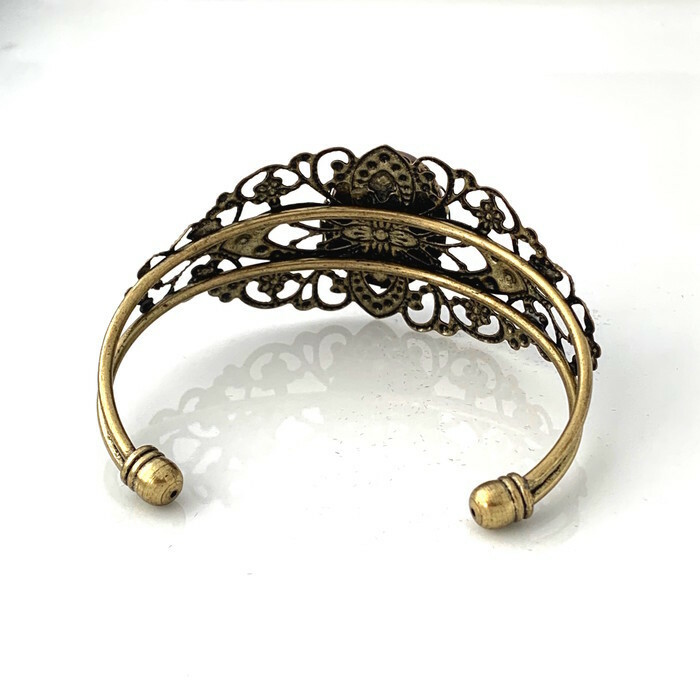 Bracelet Specs: The cuffs are easy to adjust to a smaller or to a larger size.